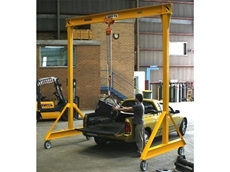 Vector Lifting provide cranes, hoists, attachments and accessories. Specialising in the design and manufacture of materials handling equipment and is a leading manufacturer of railway lifting equipment and jib cranes in Australasia. Vector Lifting provide heavy duty winches designed for a range of manufacturing and industrial applicationsHeavy Duty Winches for industrial and manufacturing applications The Heavy Duty Winch range from Vector Lifting is suitable for a range of applications including: Pump handling Conveyor dynamic tensioning Counter weighingHeavy Duty Winches with up to 25,000kg capacity Vector Lifting's range of Heavy Duty Winches offer extremely high winch capacities with up to 25,000kg single line pull. 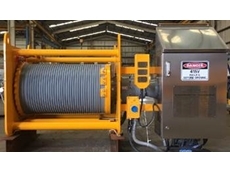 Other features and benefits include: Multiple-line pull winches available for greater capacities Single and multi-layer rope winding drums Robust, low maintenance design for use in severe environments Customised Control System with complete interlocking for fail-safe operation Explosion Proof Winches available for use in hazardous area Zone 1 and Zone 2 ATEX or client specified standardAll Vector Lifting winches are designed and manufactured to Australian Standard AS1418Quality Standard ISO9001. 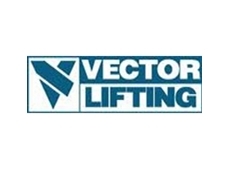 Vector Lifting supply a range of electric and pneumatic chain hoists that have been purpose-built to surpass industrial hoist requirements and to offer dependable solutions to your lifting requirements. 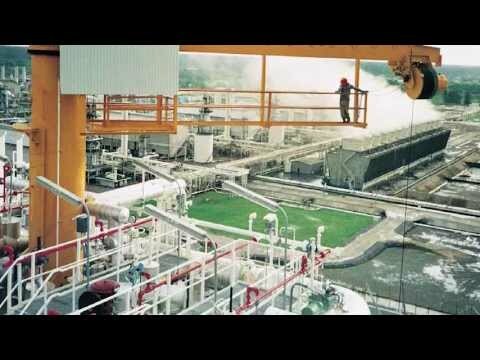 Electric Hoist and Pneumatic Hoist SolutionsHoists are used to obtain maximum operational efficiency and safety in addition to having a range of features that are able to suit specific lifting needs. 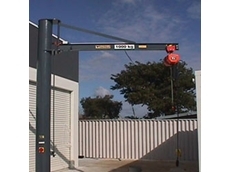 Hoists are available in hook suspension, push trolley, and motorized trolley versions, allowing them to be used for an extensive assortment of applications such as Workstation Cranes Overhead Cranes Jib Cranes Mobile Gantry Cranes A Variety Of Fixed Applications Lifting hoists for up to 5000kg Capacity Range: 1000kg to 5000kg Explosion Proof Rated Chain Hoists Control pendant and cable or Radio Control Electrical upper and lower limit switches IP55 protection (IP55+ protection available) Galvanized load chain (Stainless steel load chain and hook available) 3-phase or single power supply Stepless speed control for travelling motion (for hoist with electric trolley) Thermal motor protection Insulation class H hoisting motor Hours in service counterFor heavy lifting applications, lifting hoists from Vector Lifting can provide the ideal solution. 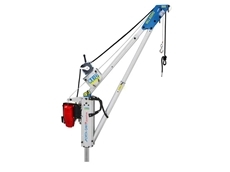 Vector Crane Services provides by far the most comprehensive and versatile slewing jib crane range in the market place. Slewing Jib Cranes Units can be supplied in standard design or specifically tailored to your requirements Vector's easy to assemble kit system covers an combination and requirement you need Between working load range of 50kg to 6.3 tonne these cranes have proven themselves over and over again.Mobile Gantry Crane LiftingAnother useful product in the Vector range is the Mobile Gantry Crane. For mobility, the take anywhere Hercules is ideal for lifting loads in areas not accessible by conventional methods. Capacity’s start from 500kg to 5 tonne and can have a span of up to 6 metres.Lifting cranes with wide range of options Electric Chain Hoists Wire Rope Hoist Chain Block Air Hoist Motorised Slew Chains and Slings Onsite Installation Testing and CommissioningVector's full range of practical and versatile cranes and hoists are the ideal solution for easy lifting of loads. 29/10/18 - Vector Lifting presents the Porta-Davit Quantum, an ultralight, rapidly deployable davit crane system weighing just 18.5kg and featuring up to 600kg WLL at 1200mm radius. 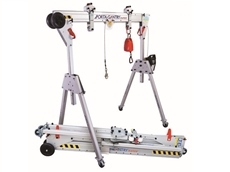 The light weight combined with the integrated carry handle allows the Porta-Davit Quantum to be easily transported for use in a range of applications.Key features of Porta-Davit Quantum 1 davit cranes include up to 150kg personnel WLL at all configurations; EN795:2012 certified as part of an EN363 compliant system for 1 person fall arrest; suitable for use in ATEX Zone 2 explosive atmospheres; integrated carry handle with a unit weight of 18.5kg – 23.5kg; rapid assembly with no tools on just 1 pin (2 for winched); and anodised finish for enhanced corrosion and wear resistance. 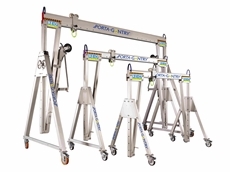 04/09/18 - Vector Lifting presents the Porta-Gantry Rapide, a lightweight and portable aluminium gantry designed for simple use in different application environments.The Porta-Gantry Rapide has a working load limit (WLL) up to 500kg for goods, and up to 250kg for personnel. Key features also include 3-Person Fall Arrest EN795:1997 certified as part of an EN363 compliant system; suitable for use in ATEX Zone 2 explosive atmosphere; 33kg weight within manual handling guidelines; adaptable, multipurpose goods and personnel rated trolleys; load-bearing, lockable castors for easy positioning; and a range of beam lengths up to 4m and configurations available. 12/08/18 - Vector Lifting has designed and developed a specialised yachting jib crane that minimises risk, environmental damage and costs to allow fast and effective launch and retrieval of boats and yachts.Moving or retrieving boats and yachts in harbours, boat clubs, marinas and shipyards is always a stressful and expensive exercise that often involves a great deal of organisation, effort and expense. 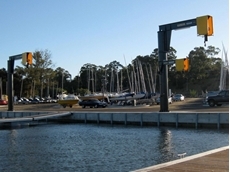 Conventional methods such as slipways, trailers or mobile cranes carry high risk for the boats and generate high costs. Vector Lifting’s specialised jib cranes can be designed, manufactured and installed to suit specific application needs at the club or marina.Key benefits of Vector Lifting’s yachting jib cranes include secure boat handling, continuous availability, eco-friendly operation, low maintenance costs, ease of operation, minimal space requirement, customised shape and colour to suit the club’s branding, and proven design backed by years of expertise and experience. 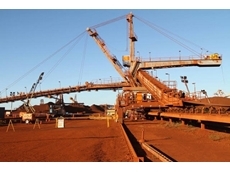 12/08/18 - Vector Lifting recently manufactured a new luffing winch for an iron ore stacker. The winch was designed for 2 x 70kN line pull with two stage braking systems.